Kansas City, Mo. 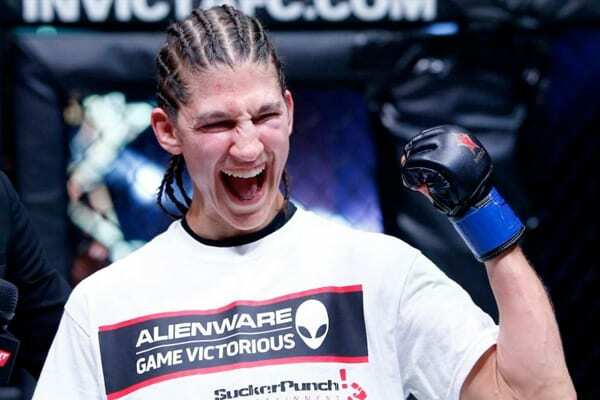 — The fight card for Invicta Fighting Championships 19 has added six more bouts. In addition to the previously announced pair of title fights, Mexico’s Irene Aldana (5-2) will take on former featherweight Faith Van Duin (6-2) of New Zealand, undefeated Indian strawweight Manjit Kolekar (9-0) meets veteran Kaline Medeiros (7-4), striking stalwart Tiffany Van Soest (0-0) makes her professional and promotional debut against a soon-to-be-announced strawweight opponent, atomweight Julia Jones (4-0) looks to keep her perfect record intact against Stephanie Skinner (4-5), Amber Leibrock (1-1) welcomes fellow featherweight Amy Coleman (2-0) to the Invicta cage, and Ashley Greenway (1-0) clashes with Icelandic newcomer Sunna Rannveig Davidsdottir (0-0). Invicta FC 19 will be headlined by interim flyweight champion Jennifer Maia (13-4-1), who puts her belt on the line against veteran Roxanne Modafferi (19-12). The co-main event also features gold on the line as atomweight champion Ayaka Hamasaki (13-1) aims to make her second title defense against Jinh Yu Frey (5-1). The event takes place from the historic Scottish Rite Temple in Kansas City, Mo., on Friday, Sept. 23 and airs live and exclusively on UFC Fight Pass. Tickets for Invicta FC 19 go on sale tomorrow, Saturday, Aug. 27, at 11 a.m. ET and will be available for $75, $50 and $35 at Ticketfly.com. Follow Invicta on Twitter (@InvictaFights), Facebook (Facebook.com/InvictaFights), or Instagram (@InvictaFC) for all the latest details on the event. Invicta Fighting Championships is a world championship, all-pro mixed martial arts (MMA) fight series dedicated to providing female athletes with a major platform to hone their skills on a consistent basis. Founded in 2012 by longtime MMA executive Shannon Knapp, Invicta is committed to pioneering the future growth of women’s MMA by promoting the best possible match-ups between female competitors and identifying and developing future superstars of the sport.